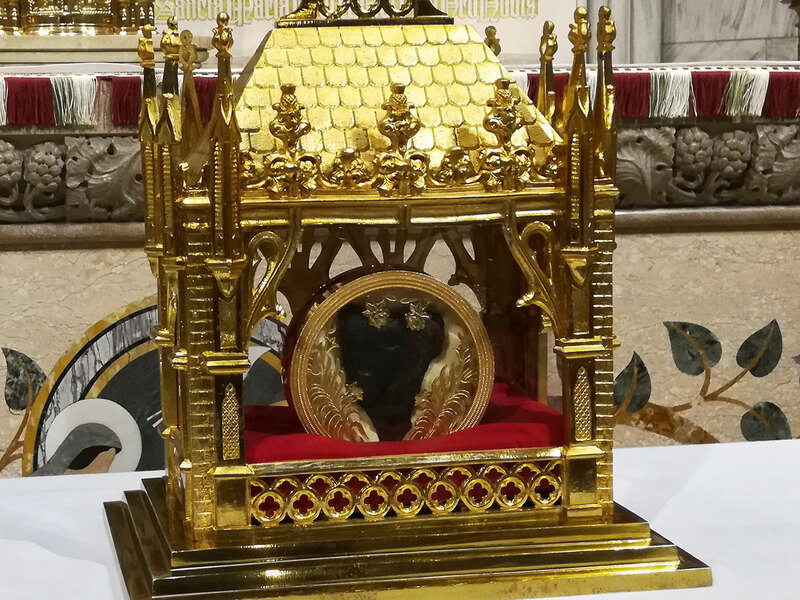 New York: The 150-year-old heart of a French priest is on a US tour - a Roman Catholic relic with New York City as its latest stop. It was on display Saturday at St. Patrick's Cathedral on Fifth Avenue, where both the faithful and the curious lined up to see the human organ behind glass. The Knights of Columbus fraternity is sponsoring the pilgrimage of the heart they say has miraculously never decomposed. Cardinal Timothy Dolan, the archbishop of New York, is to lead a Sunday procession venerating the heart of Saint John Vianney. He lived during the French Revolution, helping to hide priests on the run. The tradition of venerating the body parts of saintly Catholics goes back to the Middle Ages in Italy.